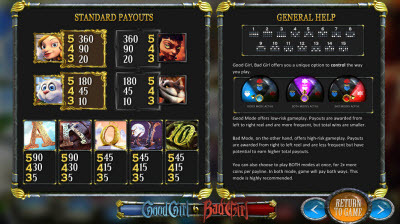 Overview: Choose GOOD or BAD, or play both sides and gain complete control over your gameplay experience! 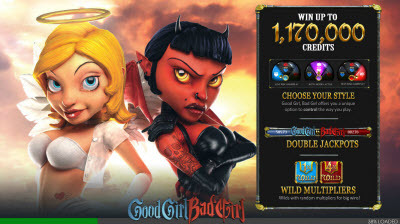 Featuring Free Spins, Money Wheels, Click Mes and more, you've never seen Good and Bad look so Good! 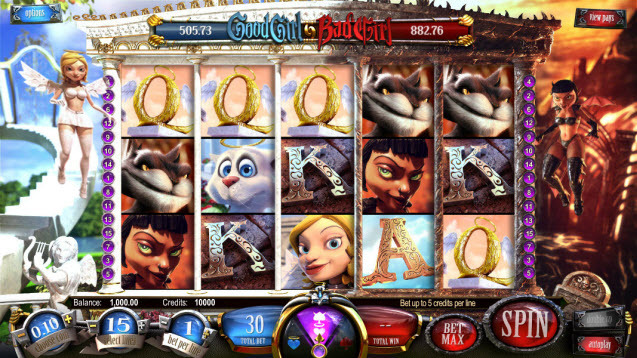 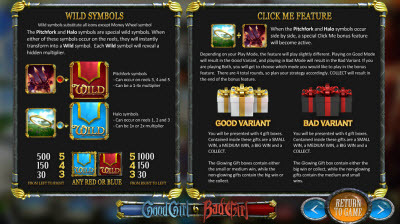 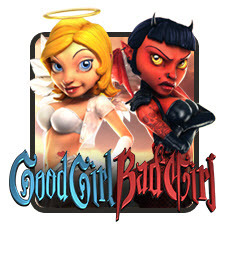 Similar Slots: If you like Good Girl Bad Girl, you might like these other BetSoft Gaming slots: House of Fun, Safari Sam, Six Shot Showdown, Sushi Bar, Under the Sea, Viking Age.